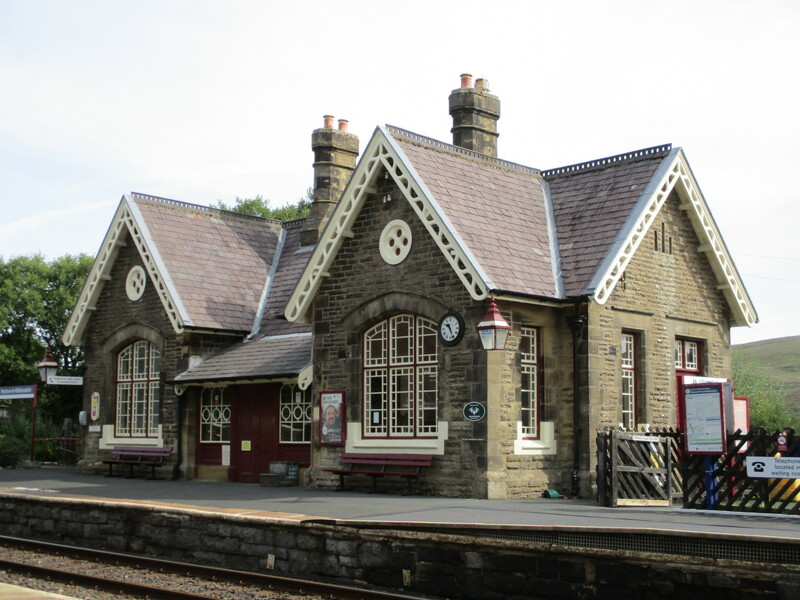 A weekend walk, high in the Ribble valley, started at Horton in Ribblesdale railway station. I wrote my undergraduate dissertation on the architecture of the Settle to Carlisle Railway many years ago. At the time it was under threat of closure and there was even the possibility of the demolition of the stately Ribblehead viaduct. Fortunately, both were saved and today attract train enthusiasts from around the world, while providing a valuable service to hikers and a vital communications link for residents. The Midland Railway Company house style for its railway buildings is exemplified by all the stations along the Settle Carlisle line. I have always loved this flamboyant style which works for the smallest station or signal box as well as the grander city stations. The line was built because the Midland Railway Company wanted access to Scotland without having to use other company tracks. The surveying of the route across this remote area was a major feat, resulting in a line across mountainous terrain with no gradient exceeding 1:100 and giving us the spectacular viaducts at Ribblehead, Dent Head, Arten Gill and Smardale, which all show that man’s intervention can enhance the natural landscape. I would love to visit the Millau viaduct in France, designed by Norman Foster, which is just the most recent example of this.